Cherry Mobile has recently released their latest Android smartphone featuring a fine 5-inch 720p HD display, Dragon Trail Glass Technology, 12 megapixel rear facing camera and more – the Cherry Mobile Omega HD. The Omega HD is basically a rebrand of i-mobile IQ 6, and like any other Cherry Mobile smartphone, this one would definitely fit your budget. See more details about the Omega HD below. You might be wondering, what exactly is a DragonTrail Glass Technology? Well, it’s not as impressive as the Corning Gorilla Glass, but it can withstand scratches and it will work even when wearing gloves. It was manufactured by a company called Asahi Glass. Specs wise, the Cherry Mobile Omega HD is built with specs that can handle your everyday task. 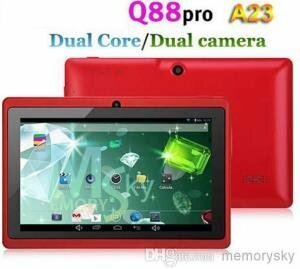 It has a 5-inch HD display for those love who watch movies or videos on their smartphone. It has a 12 megapixel rear facing camera capable of capturing 720p videos, for people who likes to take shots whenever and wherever they are. And since it has a 2 megapixel front facing camera, you can also make video calls to other Android users. The Cherry Mobile Omega HD is also running on the latest Android 4.1 Jelly Bean (although not the latest version). But still, it’s better compared to running in an older version of Android OS. The Cherry Mobile Omega HD has a suggested retail price of only Php 7,999. This is definitely a cheap alternative to those high-priced 5-inch Android smartphone. The Omega HD will be available starting first week or second week of April, just a few weeks from now. 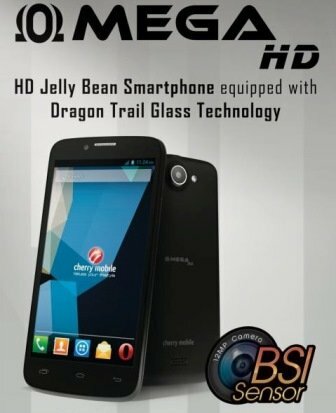 Cherry Mobile Flame 2.0: Quad Core Android Jelly Bean Smartphone for Php6K++ Only!